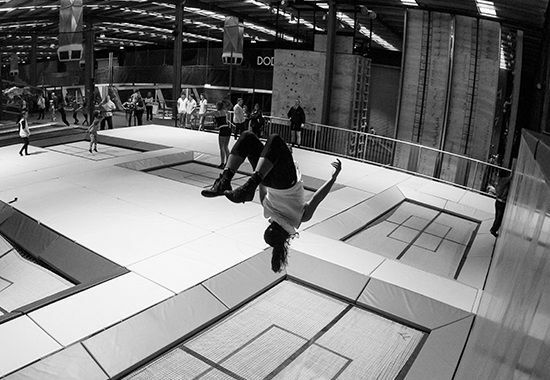 A dynamic experience where bouncing meets basketball, wall running, parkour and more! 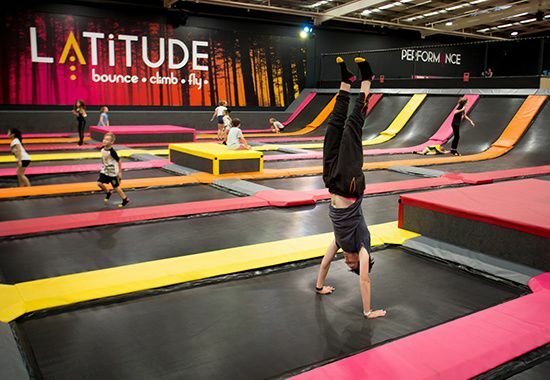 Boasting 100+ interconnected trampolines, performance area, giant air bag, dodgeball courts and basketball lanes, Latitude has bouncing covered! It’s game time! 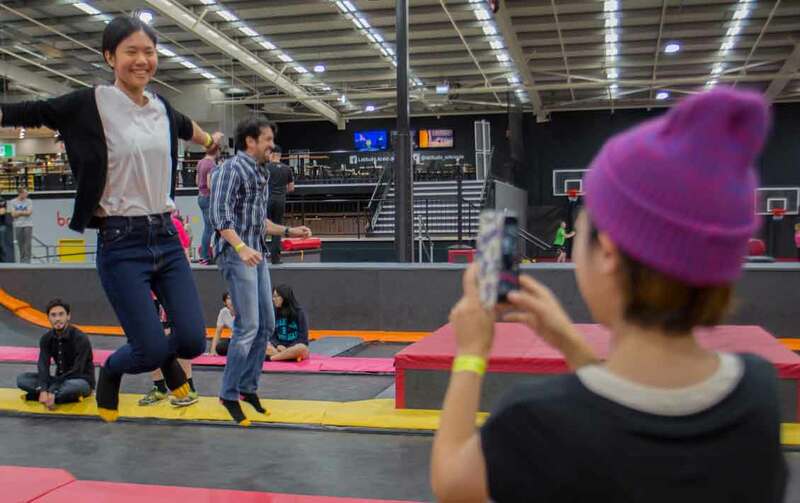 We’re all familiar with basketball and dodgeball, but at Latitude we flip the script and add a bouncy trampoline floor in the mix. That means you’ll get closer to the b’ball hoop scoring every time and fly out of danger on the dodgeball court so they won’t know where to take aim! Get set to fly in the performance zone. With super high ceilings in this section, there’s no limit to the stunts you can pull off here! Our Olympic grade performance trampolines are the ideal place to practice your backflips, cartwheels and master some new tricks.